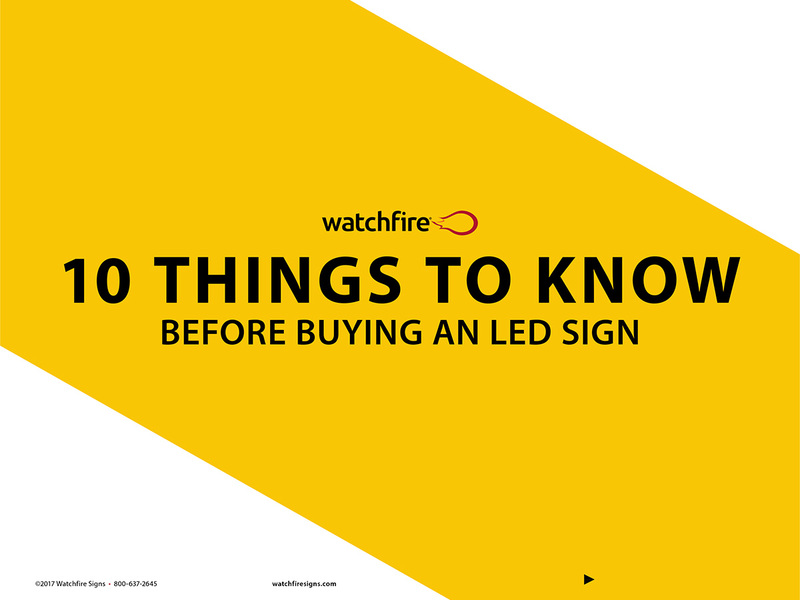 Your decision to purchase an LED sign is a wise one. You may already know that business signage is a key component of a well thought out marketing strategy, but the details surrounding the hardware are often made to look confusing by other manufacturers. Our philosophy is simple: Educated consumers make the best customers. This eBook provides you with helpful guidelines, some good questions to ask and a few things to look for as you consider your purchase options. It can also serve as a resource you can print and share if you'll be collaborating on the purchase with a board or other key stakeholders.